It is the Mass according to the rite of the Neocatechumenal Way. 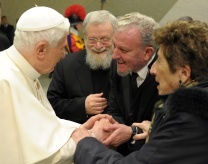 Benedict XVI has ordered the congregation for the doctrine of the faith to examine it thoroughly. Its condemnation appears to be sealed. ROME, April 11, 2012 – With a letter written personally to Cardinal William J. Levada, Benedict XVI has ordered the congregation for the doctrine of the faith to examine whether the Neocatechumenal Masses are or are not in keeping with the liturgical teaching and practice of the Catholic Church. 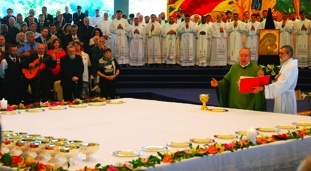 VATICAN CITY (CNS) — As the Vatican approved the Neocatechumenal Way’s unique rite, Pope Benedict XVI underlined that its celebrations were not "strictly liturgical" and that their aim must be to encourage members to partake fully in the liturgical life of the parish. It has been half a year since I stepped down from my post as diocesan bishop of Takamatsu diocese. Now, as I look back on the circumstances I encountered in that role, I have decided it best to write a few words for the sake of the future. The Holy See has approved the rites that mark the stages of their catechism. But the particularities with which they celebrate their Masses still remain under observation. Some of them are permitted. Others not. The founders of the Neocatechumenal Way aim to obtain definitive Vatican approval for their “convivial” way of celebrating the Mass. The document is ready. But it could be modified or blocked in extremis. The verdict on January 20. 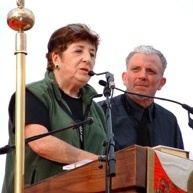 ROME, January 13, 2012 – As on other occasions in the past, this January as well, on Friday the 20th, Benedict XVI will meet in the audience hall of the Vatican with thousands of members of the Neocatechumenal Way, with their founders and leaders, the Spaniards Francisco “Kiko” Argüello and Carmen Hernández. Mendes’ homily last Sunday was notable – not only because he used it to announce that this had been his last Sunday Mass as pp of St Vincent’s, but also because for once it actually had some semblance of structure and coherence, leading one to wonder who had written it for him. The content, however, was sadly still the same old rubbish, with the message of the gospel reading of the Sermon on the Mount somehow warping into a diatribe on obedience, a favourite theme.